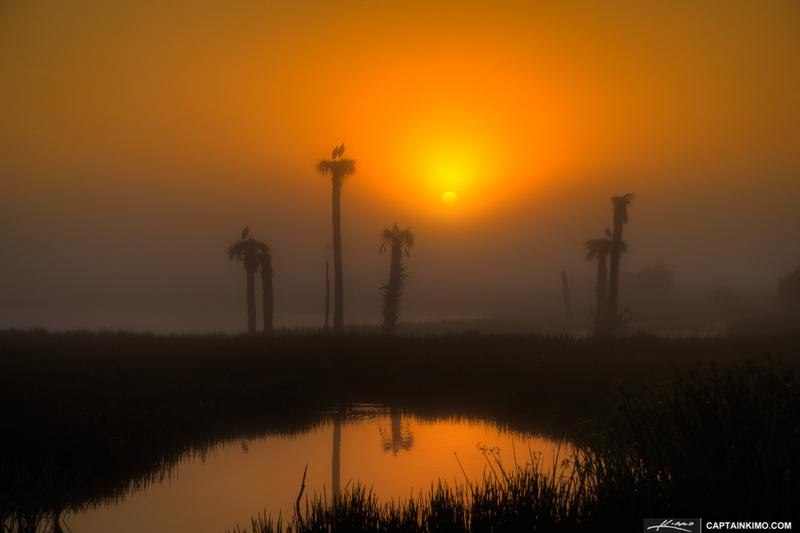 Also known as the Rich Grimsson Memorial, Viera wetlands is a beautiful place to capture sunrises in a swamp setting. It’s also a great place for photographing birds. This photo was taken during a very foggy morning yesterday. In fact it was so foggy I wasn’t able to see the sunrise until the sun reached this point in the sky. But once it came up the whole wetlands was bathed in golden light. This is a three exposure HDR image merged together using Photomatix Pro software. Final post processing was done in Lightroom.